Paula J. Parkerson : KFG Enterprises, Inc.
Paula J. Parkerson began her career in financial services with Paine Weber. Since 1998 Paula has provided independent financial planning advice through Kentucky Financial Group to individual and corporate clients. Paula received her BA from the College of Liberal Arts at University of Louisville. She is a licensed agent for life and health insurance. She is a registered FINRA representative, holding Series 6, 63, 7, and 65 licenses. Paula approaches her clients with a comprehensive financial planning approach. She specializes in advising families with special needs dependents, finding these cases to be uniquely complex and challenging. 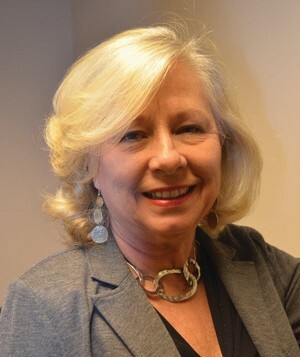 A strong believer in educating youth, Paula has served as a Board Member and is currently a volunteer consultant for Junior Achievement of Louisville, has served on the Board of Blue Apple Players, is currently a volunteer for EveryOne Reads to two students at Barret Middle School in Louisville. Paula serves as incoming chairperson for the Ambassadors of Greater Louisville Inc. (the Chamber of Commerce for greater Louisville). She has served 5 years as an Ambassador for GLI. Paula is a believer in the entrepreneurial spirit that drives the community of Louisville, and is proud to do business in the Louisville community. However, Paula also services the needs of clients in Ohio, Wisconsin, Florida, Georgia, and Indiana.